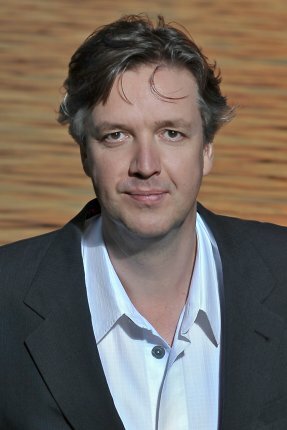 Gregor Bühl started his conducting studies at the Musikhochschule in Düsseldorf with Wolfgang Trommer. He participated in master classes with Ferdinand Leitner, Gary Bertini and Gerd Albrecht. In 1995, he was awarded the second prize of the Nikolai Malko Conductors Competition, and in 1993, the culture prize of Berenberg Bank in Hamburg. He also received scholarships from "Deutsche Stiftung Musikleben" and "DAAD". His first conducting appointment was as GMD Gerd Albrecht's assistant at the Hamburg State Opera. Gregor Bühl gained international attention when he launched the highly-acclaimed new “Ring des Nibelungen” cycle at the Royal Opera House in Stockholm. His interpretation was enthusiastically received by audience and press alike. The entire production was recorded and broadcast by Swedish Television. He conducted at the Royal Opera Stockholm, the Canadian Opera Company Toronto, the Hamburg State Opera, the Opéra National de Montpellier, the Teatro Colòn Buenos Aires, the Semperoper Dresden, the Deutsche Oper Berlin, the Hannover State Opera or the Leipzig Opera. Recent concert engagements have presented him extensively in Germany, Scandinavia, Eastern Europe and the Middle East, working with: the Radio Symphony Orchestras in Berlin, Hamburg, Hilversum and Hannover; with the Finnish and Danish Radio Orchestras; with the Israel Philharmonic, Gewandhaus Orchestra Leipzig, Staatskapelle Weimar, Trondheim Symphony Orchestra, Düsseldorf Symphony, Munich Symphony and the Staatsphilharmonie Rheinland Pfalz.